Over 150 PartsSo Much Fun! Welcome, Bonjour, and Moin! With the contents and DIY guide on 68Keys.io, you can build your own custom 68% Mechanical Keyboard! Sounds great, right? You will find all information about the needed Circuit Board, Aluminium Case, and modified QMK firmware on this site. With the detailed shopping list, you can start ordering parts and dive into building your DIY mechanical keyboard right away. Have fun! Being an enthusiast for mechanical keyboards, I switched to 60% keyboards from KBParadise a couple of months ago. I never regretted this decision, but all the time I had an eye on a beauty called Varmilo VA68M. 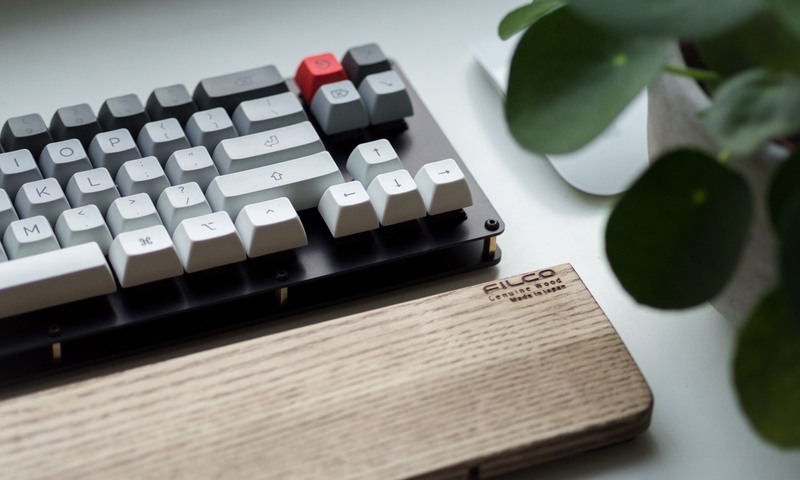 When I read about the terrible macOS support, I was truly disappointed and started to read about building a custom DIY mechanical keyboard with 68 keys. How to use the DIY guide? I expect you already have a couple of things, most notable a screwdriver and a soldering iron. The needed screwdriver depends on the type of screws you chose for the case, and I cannot recommend any specific soldering Iron. I ordered an inexpensive one on Amazon a couple of years ago. This DIY guide is published using the BY-NC-SA Creative Commons license, and you can use all information and resources free of charge. However, I would love to hear your feedback on twitter! Sources are available on GitHub, please submit a Pull Request or file an Issue if you notice something strange on these pages. All this content would not exist without the great resources about mechanical keyboards already available online. Most important the Keyboard Layout Editor, Keyboard Case Builder, Gerber files for the PCB, QMK firmware, and many more. Created by sbstjn. Published on GitHub using BY-NC-SA Creative Commons. No problem dude, I like cookies ! !